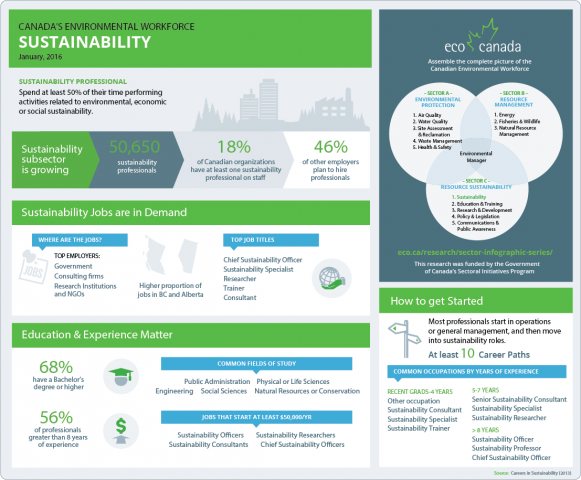 Sustainability grew quickly as an environmental field in Canada. Professionals played a key role in numerous organizations, including managing risk, increasing capital returns, and supporting new business growth. Despite the clear importance of sustainability work, many prospective professionals do not have enough information to plan for a rewarding, viable career in sustainability. 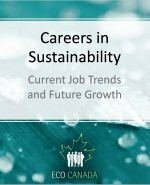 Careers in Sustainability was designed to bridge the gap by providing valuable insight on key sustainability employment trends in Canada. If you’ve ever considered a career in sustainability and wondered, “Where are the jobs and how can I get started?” this report is for you.